Jo Ann Green, 77, of Searcy passed away on Friday, September 21, 2018. She was born in Judsonia, Arkansas on December 15, 1940 to Chris and Annie Beals. She was preceded in death by her parents; husband, James Green; three brothers, Harold Beals, Olan Beals, and Eugene Beals. Jo Ann was a retired factory worker from Vickers. She was a member of Trinity Baptist Church. She enjoyed fishing and loved spending time with her grandkids. 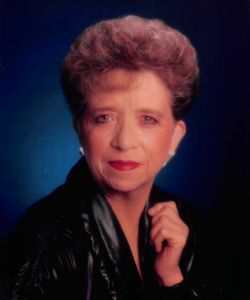 She is survived by her two daughters, Vickie Algood (Kenny) and Anita Green; one brother, Clifton Beals (Hazel); three sisters, Wanda Cooper (Allen), Evelyn Jones (Larry), and Katie Webb; eight grandchildren, Leslie Sperry, Bert Wood, Joshua Wood, Jarred Algood (Sherry), Jennifer Hobson (Mark), Chris King (Lora), Kendall King (Jessica), Brandon King, and Molley Froud; nine great-grandchildren, Christopher, Nick, Conner, Judah, Dale, Gracelyn, Waylon, Mason, and Audri; and many other family and friends. Visitation will be from 6:00-8:00 p.m. Tuesday, September 25, 2018 at Roller-Daniel Funeral Home in Searcy. Funeral service will be 10:00 a.m. Wednesday, September 26, 2018 at the funeral home. Interment will follow at Howell Cemetery in Clay, Arkansas. Click Play below to view the Video Memorial for Jo Ann Green.